For my debut post I thought I’d share a little trick I discovered for making my indoor plants thrive. Winter will soon be upon us, forcing those of us in northern climates to move our plants indoors. I always try to maintain a few potted herbs for use in cooking throughout the year since purchasing them fresh at the grocery store can be quite expensive. This post will focus on improving existing plants, while a future post will issue advice on how to get started with indoor planting if you’re a newbie. 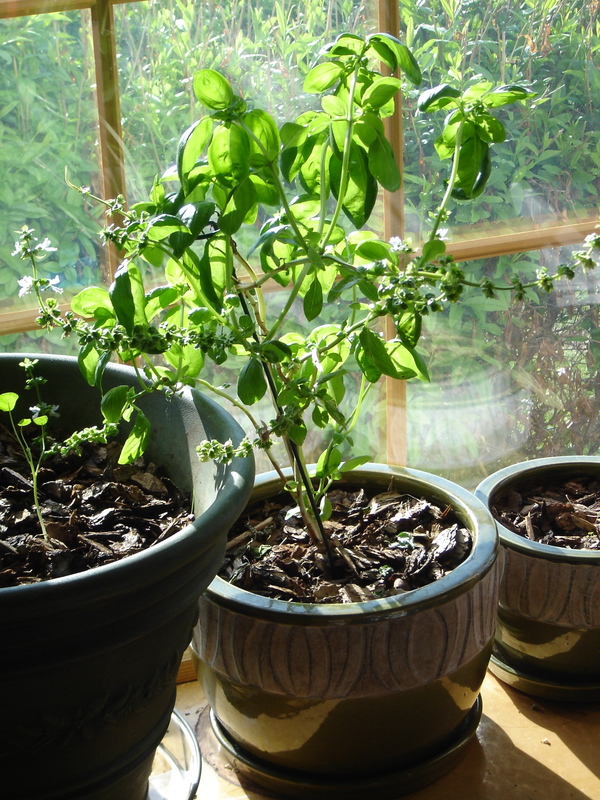 Above is a picture of my basil plant, which exploded in green, aromatic lushness after I made a few improvements to its soil in the early spring. Until then, it had eked out a miserly existence in the potting soil I had planted it in two years prior. With just two short branches, it produced only a handful of basil a month. Now I can pick a handful or more every week. What did I do? I added a pair of earthworms to the soil! After noticing the huge difference that earthworms had made in my garden, it occurred to me that they might be able to do the same for my potted plants indoors. Not knowing much about the biology of earthworms, I did a bit of research on the Internet to figure out whether my idea was actually a good one. The jury seemed out–I could find arguments both for and against earthworms indoors–but at least I learned that I wouldn’t have to deal with a worm infestation spilling out into my house if I gave it a shot: if there isn’t enough food for the worms or the conditions aren’t quite right, they will enter into a state of hibernation until better conditions return. In other words, they won’t crawl over the edges to escape! Earthworms play a huge role in soil health, making nutrients more bioavailable, increasing aeration, balancing pH, and feeding beneficial soil microbes with their castings (aka poop). To thrive, they need lots of organic matter to consume, so along with two earthworms from my garden I added a few handfuls of compost (which you can purchase anywhere gardening supplies are sold) as well as a handful of grass clippings from the yard. To make room for the new material, I removed several scoops of the old potting soil from the outside edges of the pot so as not to disturb the roots of the existing plant too much. Within a couple of weeks, my two-branched plant became an eight-branched plant that provided enough basil for delicious homemade pesto! Since I never pick more than half of my leaves at once, I actually had twice the necessary amount. 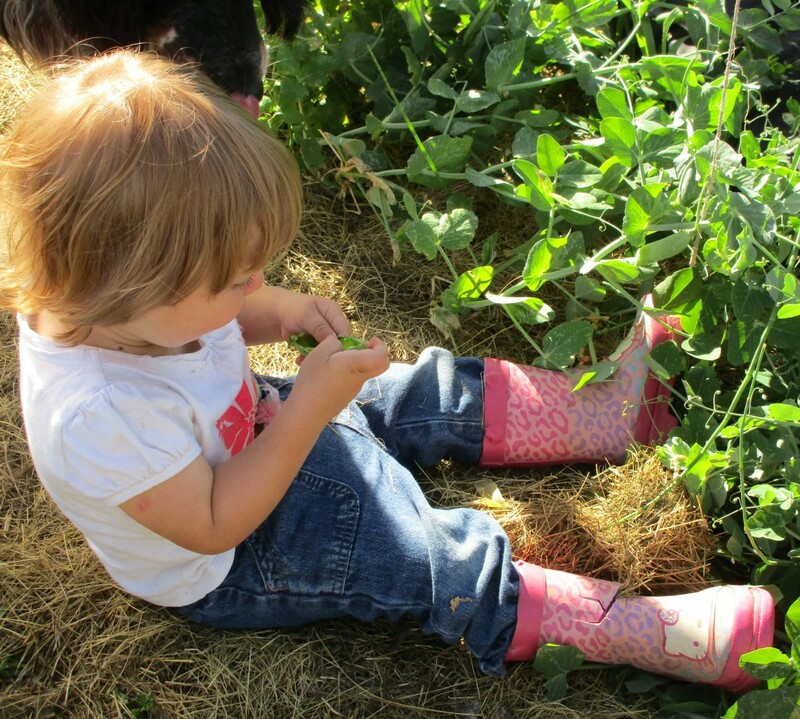 If you can’t find earthworms easily in your yard, you have a couple of options: 1) Send your kids on a worm hunt! This is best done after a heavy rain. 2) Purchase a carton of night crawlers from a bait shop. WalMart and other retail stores with outdoor departments often sell them in refrigerator cases during fishing season, which can extend from early spring until late fall. Put a couple of worms into your pot and release the rest into your yard. If you’re interested in reading more about earthworms, I found this site very informative. It’s important to note that adding earthworms to your potting soil may not be a good idea if you’re growing new plants, as this site warns they may damage young roots. It’s also very important to note that if you split an earthworm in two, it will NOT generate two earthworms. At best, the head of the earthworm will survive and grow a new tail; at worst, you will kill your earthworm. So please be kind to these helpful critters!